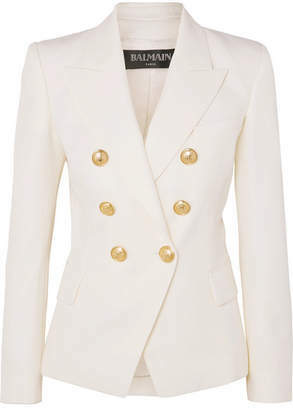 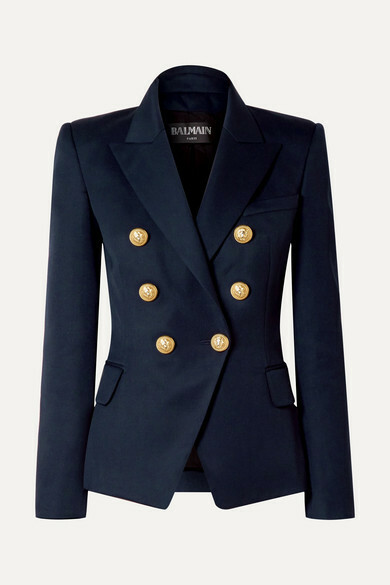 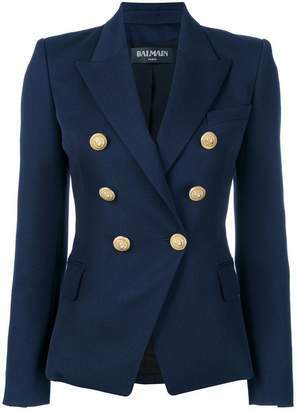 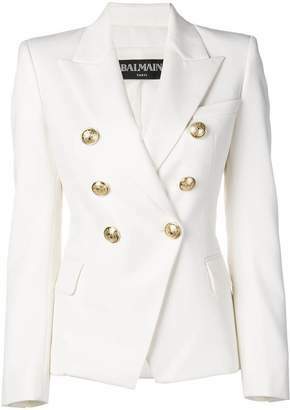 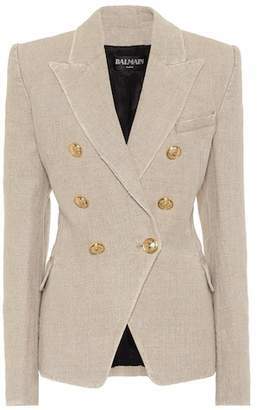 This timeless blazer is made from navy wool-twill in Balmain's signature tailored fit. It has structured padded shoulders, a nipped-in waist and double-breasted front adorned with gold lion-embossed buttons. 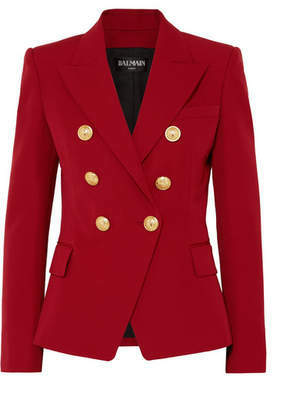 Wear yours with jeans over a simple tee.